The New Landscaping Is Well On Its Way! 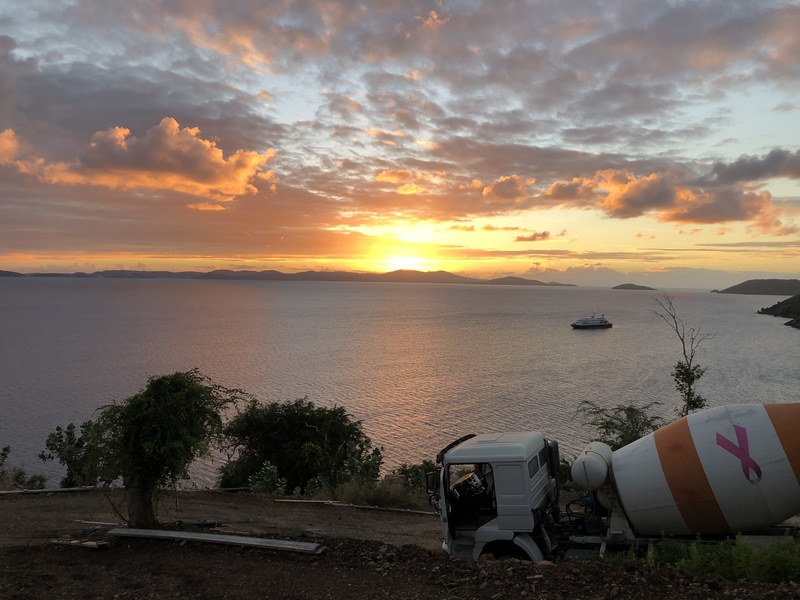 So much has happened to our beautiful little island here in the Caribbean and we are so excited to share how things are coming along. So much has happened to our beautiful little island here in the Caribbean and we are so excited to share how things are coming along. Nearly a year and a half ago hurricane Irma wiped out much of the vegetation here on Jost Van Dyke but things are well regrown and getting lusher with each day. Here's Victor who is responsible for landscaping and gardening and is also our Spanish speaking interpreter. He lives in Jost Van Dyke and is from the Dominican Republic. Our lovely ornamental areca palms (also known as butterfly palms) on the left and Christmas palm trees just before they were shipped from the nursery. 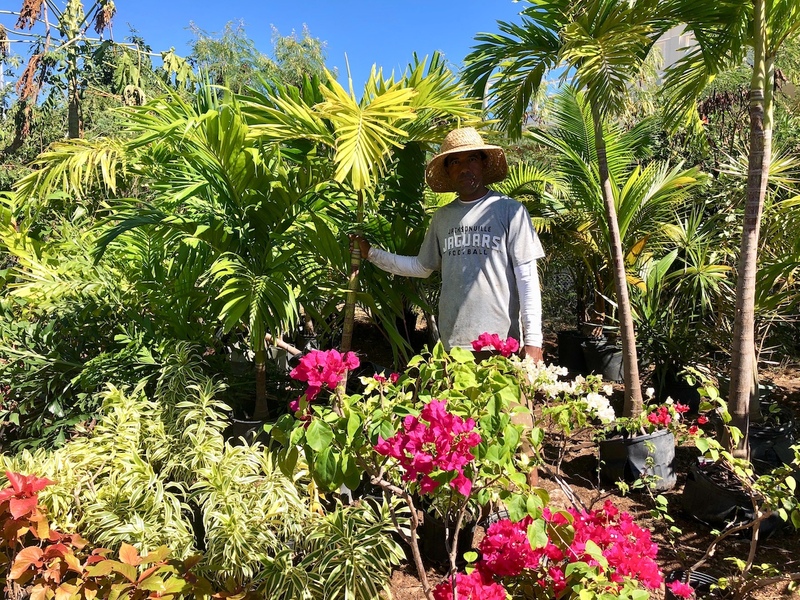 To further develop the vegetation regrowth, we have purchased over 150 new palms and a variety of indigenous plants such as avocado, breadfruit, sea grapes, bougainvillea, and oleander. 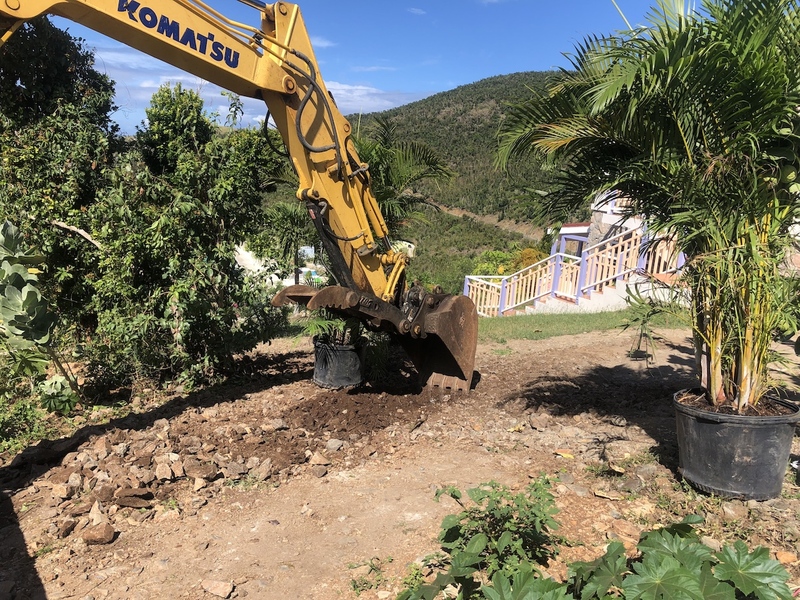 We are busy beautifying the property but strategically planting to give our guests additional privacy without obstructing any of the beautiful views of the breathtaking Caribbean waters and unforgettable sunsets. 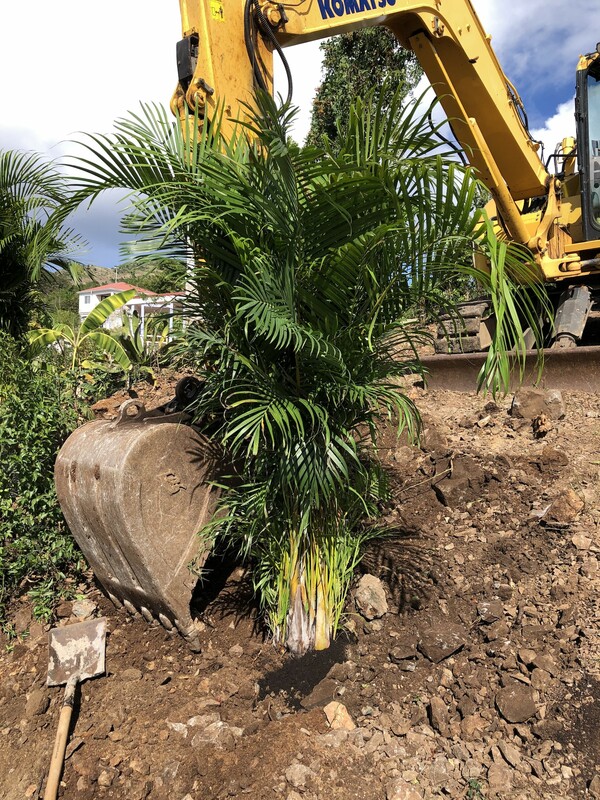 It's easy to enjoy the planting process when you get to dig with an excavator in the Caribbean sunshine! Our hand-built, rock wall landscaping not only looks fantastic but it also strengthens the property's surrounding foundation and soil pack. 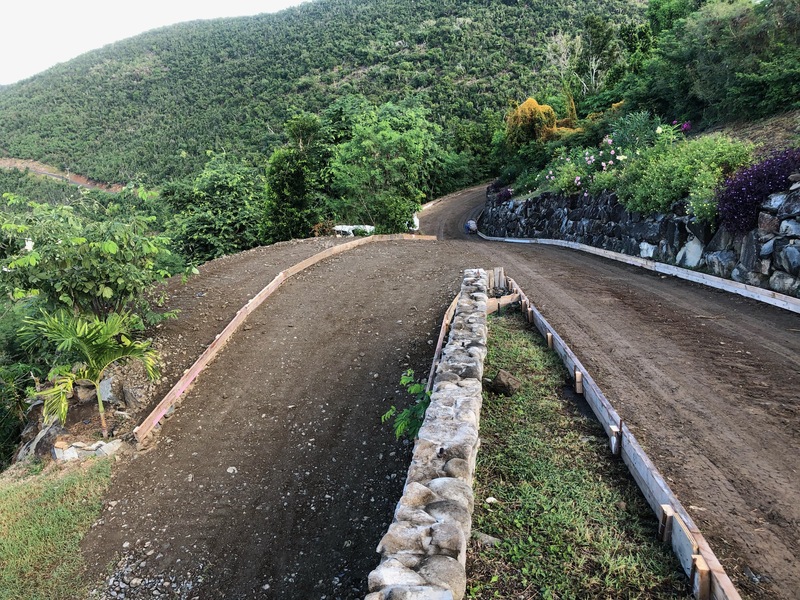 As we have mentioned before, it has been a long-time vision of ours to continue the transitioning from gravel to paved roads in the White Bay Villas 18-acre property on stunning White Bay. That plan is in motion and we love how the roads are turning out. We are happy to say that Phase 1 is now complete! The new concrete roads allow you to more easily navigate our private island paradise, and in addition, they enhance safety and better control stormwater. And after. Our new concrete roads wrapping through the beautiful Hillside Villas. During the pour, we just had to pause to enjoy the beautiful sunset. 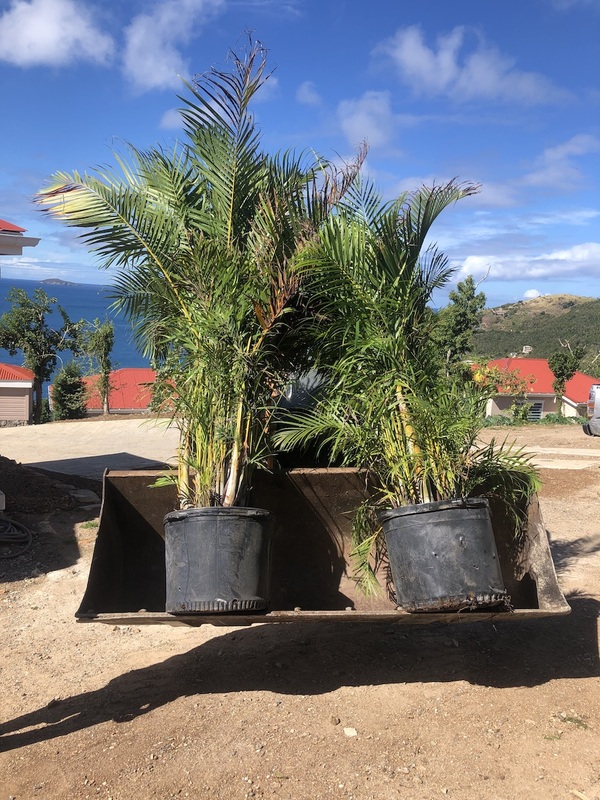 Stay tuned for more updates on our landscaping and environmental efforts here at White Bay Villas. Many more exciting plans are in the works! See you soon in paradise and Cool Runnings! Book Your White Bay Villas Vacation Now! Support Our Seaports is advancing but far from done. 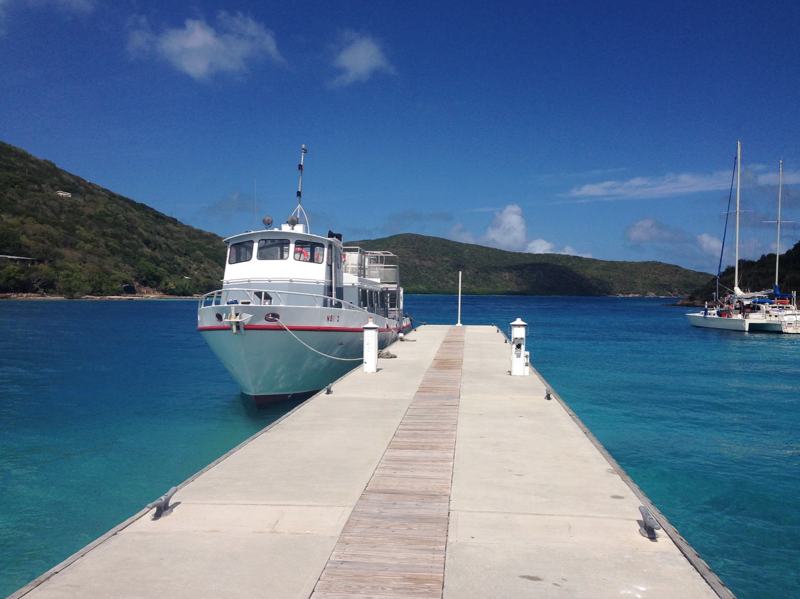 With the news that Inter Island Boat Services (@InterislandBoatServ) is resuming its ferry trip services to Jost Van Dyke out of Cruz Bay, St. John and Red Hook, St. Thomas, we can't help but be excited that progress in interisland services is being made. But there is still much to be done to get the local government to keep the promises they made to the public. 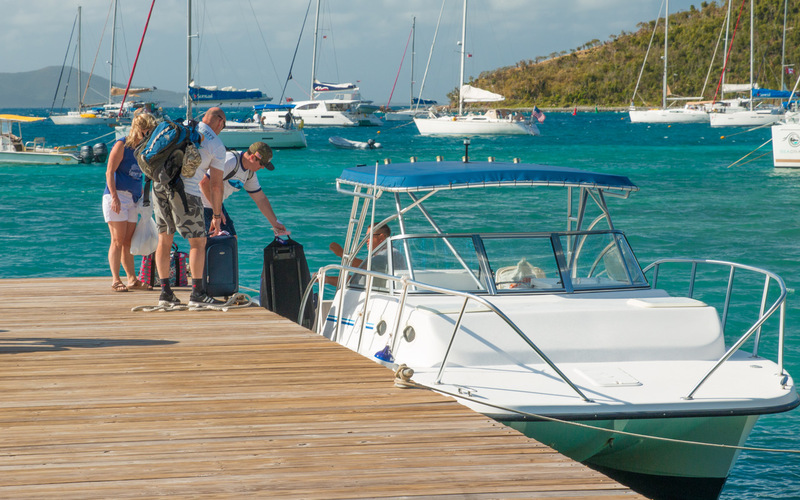 Help us to improve the BVI Seaports of Entry and make your trip here easier! The 2019 British Virgin Islands General Elections are coming up on February 25th. We want to make sure the officials that are elected hear directly from you about how critically important it is to very substantially, and with a great sense of urgency, improve our seaports of entry. 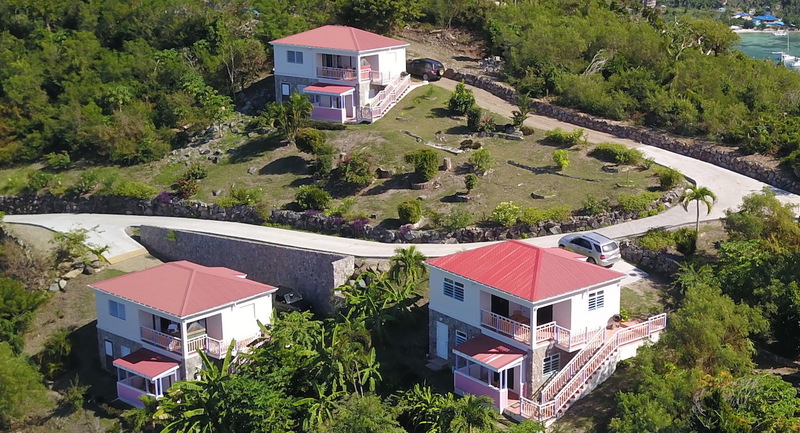 White Bay Villas' New Website - 2019! 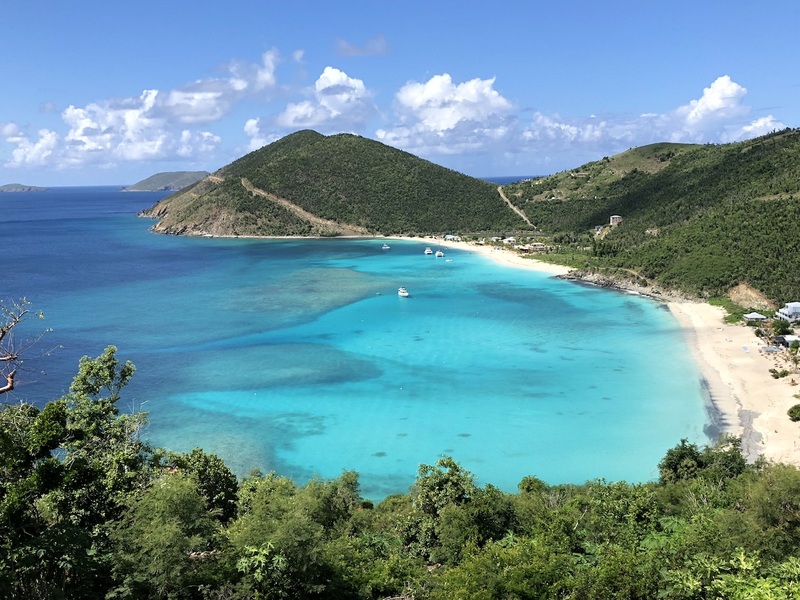 We are thrilled to debut our new White Bay Villas website to our clients, visitors, partners, and media who are looking to experience the wonders of White Bay Villas on Jost Van Dyke, British Virgin Islands. First, I want to say Thank You for being a White Bay Villa guest and/or a JVD visitor in the past. The entire White Bay Villa team looks forward to welcoming you to our property. These past months have been a really crazy time! Why Choose Jost Van Dyke for your BVI Honeymoon? There are many reasons why a couple should choose Jost Van Dyke for a BVI honeymoon destination. The first one that comes to mind is how romantic Jost Van Dyke is. It is absolutely gorgeous. I’ve been traveling to Jost Van Dyke for about 20 years. I always looking forward to being on my favorite Island, Jost Van Dyke, at my favorite place on Jost, White Bay Villas. I love exploring the Island, as well as exploring the BVI’s by boat. When I’m on Jost, I love to eat out in as many restaurants as I can. I LOVE food and enjoy eating out at as many restaurants as I can. Everyone of them is different and unique in their atmosphere. All of them are amazing and the food is so fresh!